What if the full sense of our aliveness were only to be found amidst our most challenging times and difficult experiences? 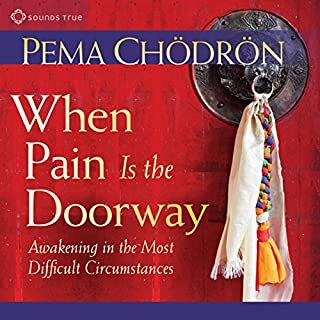 In pain and crisis, teaches Pema Chödrön, there lies a hidden doorway to freedom that appears to us only when we're sure that there is no way out. 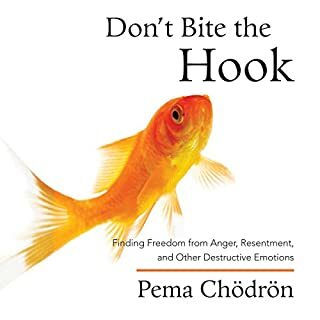 In these intimate audio learning sessions, Pema Chödrön helps us distinguish the triggers or external events that we blame for our suffering from the deeper habitual patterns that feed our anger, fear, or sadness. Happiness is your birthright, and it is readily available at any given moment, teaches Pema Chodron. So, why do we live in such suffering? "The potential for happiness is not based on outer things; they come and go, causing us misery," she begins. "We're always chasing after something, trying to avoid the difficult places. But there are a lot of small sweetnesses that we ignore because they're so fleeting." 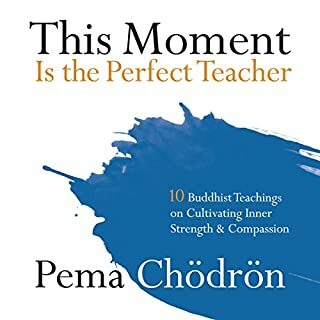 With True Happiness, Chodron guides us through simple-yet-effective practices that show us how to recognize and nurture these moments of delight, cultivating them until they become more and more frequent, accessible, and real as a constant influence in our lives. 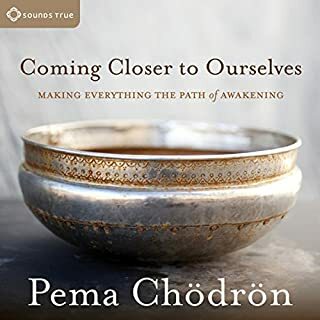 At the root of everything is "basic goodness", a Buddhist view that each of us is fundamentally awake and compassionate, yet we tend to look at ourselves from a place of "badness", explains Chodron. We spend our lives in self-doubt and confusion, attempting to be perfect and "get it right". But life is about being open to whatever might arise, including feelings of uneasiness as well as feelings of contentment and peace. Rather than asking "how can I get out of this?" ask "how can I stay in this moment of discomfort and begin to soften?" 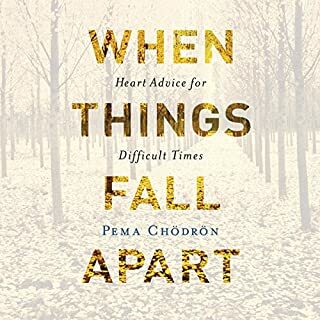 It is in that moment of softening that you will find your open heart, teaches Chodron. "Everyone has the longing to feel the open heart, because it is a deep happiness that can never be taken away." 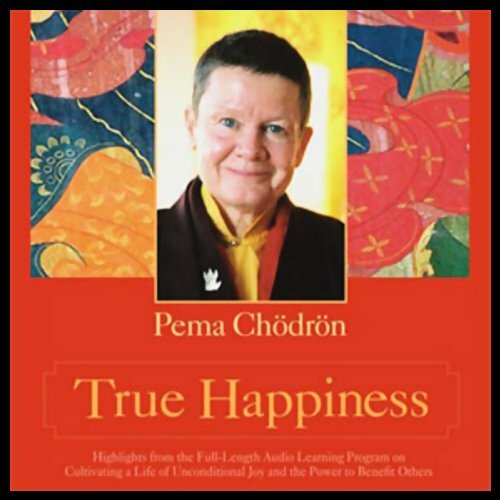 True Happiness gives you the opportunity to spend "Yarne", or winter retreat, with Pema Chodron in the warmth and comfort of your own home. 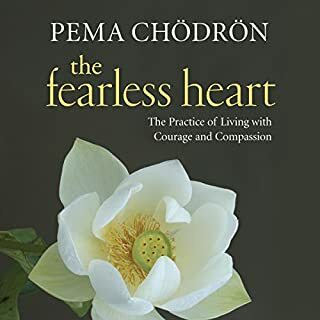 Join this best-selling author and teacher as she guides you through seven hours of effective meditations and practices to dissolve the barriers to your heart, reconnect with the source of basic goodness, and cultivate a sense of happiness, if only to touch upon it for brief but precious moments at a time. 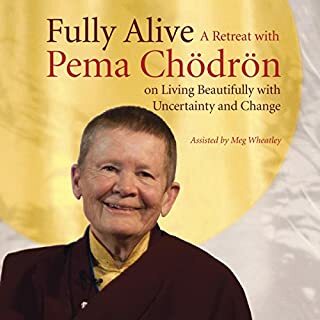 Hear more from Pema Chodron. 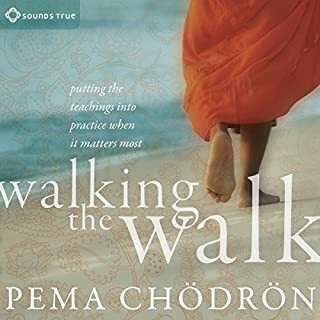 This book was useful for me, however I did find it difficult to listen to because Pema Chodron's tone of voice is a bit calm and has less intonations making it hard for me to stay engaged. 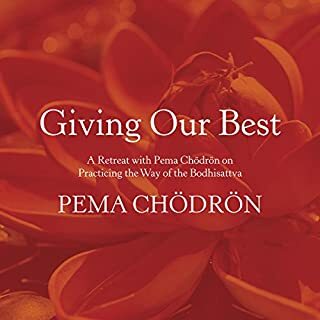 For the book to be useful I think it is best to have a solid basic understanding and personal practice in Buddhism. The intedended audience is people who want to follow the buddhist path. The books is also relatively short for the price. It seems that the book is really not a book but 2 one-hour lectures isolated from the middle of a lecture series (she makes references to lectures both before and after). 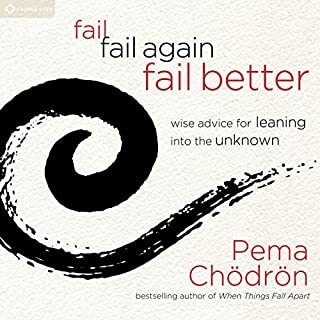 this is a book to listen to often. I really enjoy going though it again and again. Perhaps I'm the exception here, I found this very hard to listen to and follow. 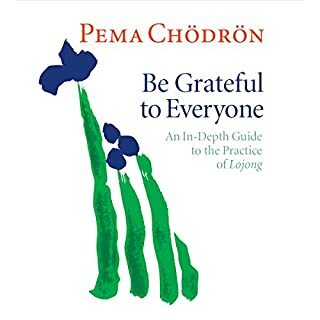 While Pema came across as soulful and thoughtful and wise, I found her narrative to be very haphazard and not particularly useful in terms of a useful guide to seeking true happiness. 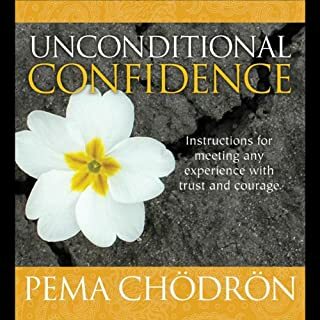 It seemed full of "be good to yourself and others" type of generalities, and though she sometimes touched on a few rare nuggets of great wisdom, they were scattered and lacking in structure. I listen to these while working and the teaching is crystal clear. Very effective in practice.